Documents originating from last year's Sony Pictures data breach reveal Apple requested 4K content for potential digital distribution and on-demand services testing nearly two years ago, suggesting the company has been exploring ultra high-definition streaming for some time. As divulged by WikiLeaks, a materials access letter (PDF link) from Culver Digital Distribution, an entity associated with Sony Pictures Television, served as a formal agreement for "testing and/or preparing" 4K film and television content for non-exclusive distribution. The letter dated Sept. 26, 2013, was signed by Apple SVP of Internet Software and Services Eddy Cue and Jim Underwood, a former Sony executive who now works at Facebook. Alongside the signed copy were multiple digital drafts dating back to early September 2013. It is unclear when the documents were first made public, though WikiLeaks on Thursday posted a new batch of material from the Sony hack to its website. That Apple was —and likely still is —experimenting with 4K content is unsurprising given the company's status as a leader in digital media distribution. To date, however, Apple has yet to make UHD movies or TV shows available through iTunes or its Apple TV set-top streamer. 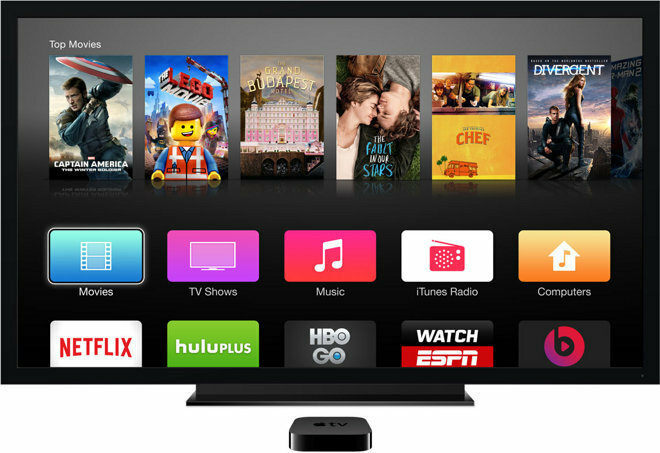 Last November, it was speculated that a next-generation Apple TV device would offer support for 4K streaming, but reports in April quashed those rumors. Future Apple TV hardware will likely be capable of outputting UHD content thanks in large part to technological advances borrowed from the iOS device lineup. The UHD format has existed for well over a decade, but only recently gained popularity after major television manufacturers released reasonably affordable UHDTV sets. Sony happens to be a prominent proponent of 4K and was among the first to field compatible projectors and UHDTVs to consumers. Without an effective distribution model content selection remains sparse, but the catalog is slowly growing, pushed along by Internet services like Netflix and Amazon.